His life inspired books and Hollywood films, but who was Joaquin Murrieta? 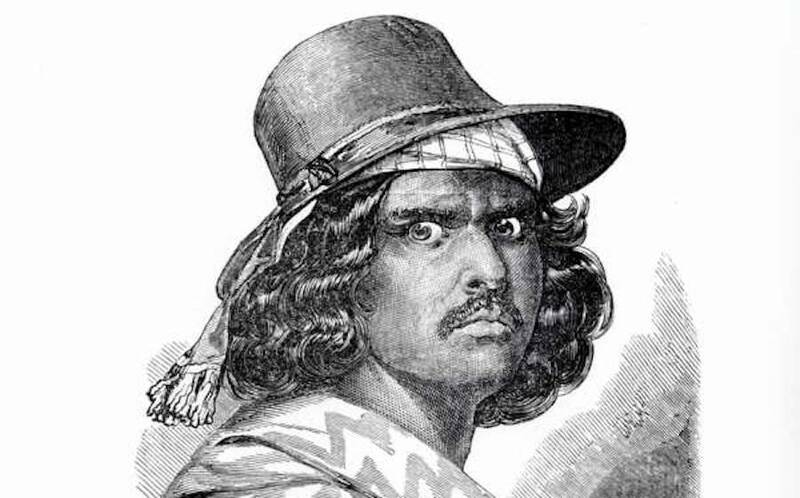 California State Library/ Wikimedia CommonsA depiction of Joaquin Murrieta. According to most accounts, Joaquin Murrieta was born in northwestern Mexico in Sonora around 1829. During the California Gold Rush of 1849, he traveled there hoping to strike it rich and build a new life for his family. Hard-working and devoted, Murrieta and his beautiful young wife quickly set up a small residence in the hills while Murrieta spent his days panning for gold. By 1850, Murrieta was finding success as a prospector, but life in California wasn’t what he had imagined it to be. The territory was ceded to the United States by Mexico in 1848 after the Mexican-American War. With the discovery of gold in the area the next year, American miners flooded in. The miners, resenting the competition from Mexican prospectors, banded together to harass and drive them out of the area. One day, American prospectors came to Murrieta’s house to demand he hand over his rich mining claim to them. Murrieta refused, and the prospectors tied him up and forced him to watch as the men brutally raped his wife and left her to die of her injuries. After his wife’s death, Murrieta quit his claim and left the area to become a card dealer. But once again, he became a victim of prejudice when he borrowed a horse from his half-brother. On the way back from the man’s house, Murrieta was seized by a mob who insisted the horse was stolen. Murrieta was whipped until he told them where he’d gotten the horse. The mob immediately surrounded his half-brother’s house, dragged him outside, and lynched him on the spot. 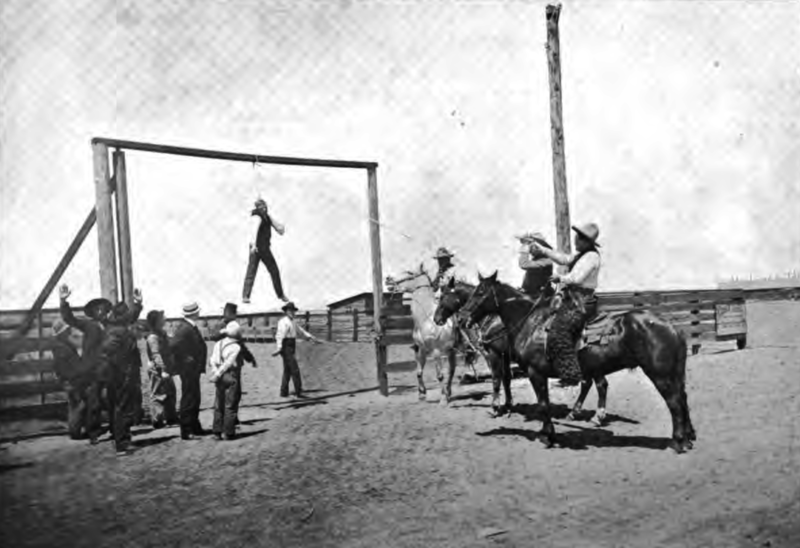 The Oregon Native Son/Wikimedia CommonsSome latter-day cowboys demonstrating how horse thieves were lynched. After the lynching, Murrieta decided he’d had enough. He wanted justice, not just for himself, but for all the other mistreated Mexicans in California. And like all great vigilantes, he was going to have to break the law to get it. Over the next few weeks, the Americans who were in the mob began turning up dead and mutilated. Murrieta was getting his revenge. With his half-brother’s killers dead, Murrieta took to the hills once again to find gold. But this time he wasn’t going to dig for it. Murrieta assembled a gang of like-minded people, including a Mexican army veteran who had two fingers blown off in a firefight during the Mexican-American War named “Three-Fingered Jack.” Together, they targeted American miners, pulling them off their horses with lassos, murdering them, and stealing their gold. Murrieta’s gang became infamous throughout the territory. Ranchers complained to authorities that the gang was descending from remote hideouts in the hills to steal their horses. Miners lived in fear of being taken on the roads by the gang. No American in the territory was safe from Murrieta’s revenge. Stories soon spread of Murrieta taking his gold and giving it to poor Mexican natives and targeting the people who were taking advantage of them, making him a sort of Robin Hood of the West. Over the next two years, Murrieta delivered his brand of justice throughout California. Finally, the U.S. Army dispatched celebrated lawman Harry Love to deliver their own justice to Murrieta. Love had fought in the Mexican-American War, engaging guerrillas in the mountains of Mexico. Now he turned that expertise to leading a group of California Rangers in hunting down Murrieta. Love tracked the Murrieta’s gang through the territory and caught them at a local ranch where they were in the middle of stealing a herd of horses. A firefight erupted and the horse thieves were killed. Looking at the bodies, Love identified the mutilated hand of Three-Fingered Jack. And though he’d never seen Murrieta in person, he felt confident he’d found Murrieta’s body as well. The posse collected the heads of Murrieta and Three-Fingered Jack, along with Jack’s distinctive hand and made their way to San Francisco. Though Jack’s head eventually decomposed so much that they had to discard it, Love was able to find a jar to preserve Murrieta’s head in. He even charged people $1 to see it on the way back to the city. The head was lost in an earthquake a few years later. But Murrieta lived on as a symbol for resistance against oppression and injustice for the people of the region. Or at least his legend did. All we know for sure is that Joaquin Murrieta was born in Mexico and originally came to California sometime to prospect for gold. Once he got there, he joined a gang that was likely led by one of his brothers-in-law. And greed probably had more to do with that decision than justice. There are no records of Murrieta doing anything particularly noble with his plundered money. From there, we know that Murrieta was involved in several violent robberies as part of this gang. He may have eventually led the gang, though it’s possible that he may have gotten confused in the record with another Joaquin who led one of the other bandit crews in the area. We also know that his criminal career was probably short, just not how short. There’s some dispute over whether or not Love actually killed Murrieta. In a time before photography was widely used to identify suspects, Love would have had a hard time identifying the body of a man he’d never seen. But dead or not, Joaquin Murrieta disappears completely from the record after his alleged death in 1853. Most of what we know of Murrieta comes from an 1854 book by John Rollin Ridge titled The Life and Adventures of Joaquin Murrieta: The Celebrated California Bandit. 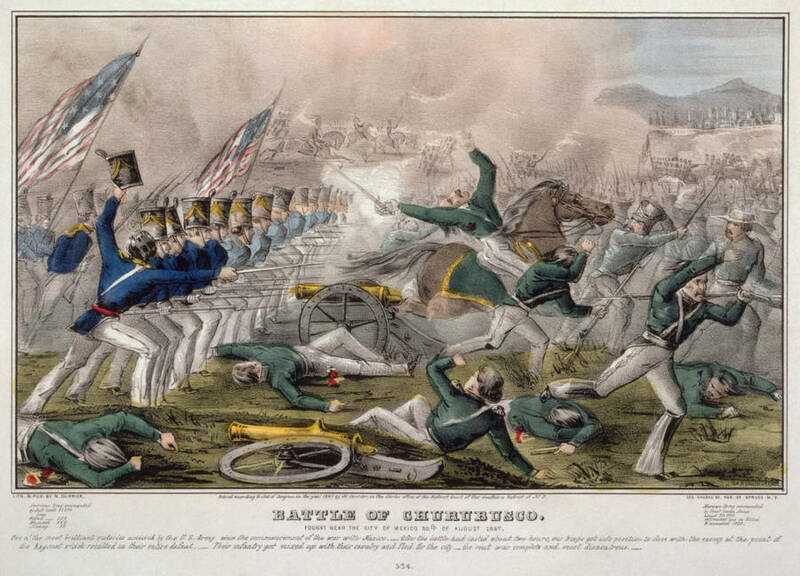 The real Murrieta was likely more of a violent criminal than a hero. More than any other, Ridge’s account formed the basis for the legendary “Joaquin Murrieta” that had such an impact on the popular imagination. Many saw the tale of a Mexican prospector who turned to crime after the murder of his family members as a heroic one. This Murrieta fought against an injustice that the California Mexicans who were now foreigners in their own land were struggling against every day. In many ways, they needed someone like Murrieta, even if he only existed in a book. The heroic Murrieta was a powerful symbol of resistance and remained so long after Murrieta’s death. So when a pulp writer named Johnston McCulley was looking for a heroic figure to base a new book around, Murrieta seemed like a good fit. The Curse of Capistrano told the story of a Mexican native of California named Don Diego Vega, who takes on the masked persona of Zorro to fight for the poor and downtrodden with a sword around the time of the Gold Rush. And while McCulley probably drew on a lot of sources for the idea, the setting and character do seem to have been inspired in part by Murrieta. This even more fantastic re-imagining of a re-imagining of Joaquin Murrieta’s life was even more popular than the first, serving as a basis for books, television series, and movies for decades. Ultimately, it’s not a bad legacy for a criminal to accidentally leave behind. After learning about Joaquin Murrieta and the story behind The Legend Of Zorro, check out these photos of life in the real Wild West. Then read about Big Nose George – the Wild West outlaw who was killed and turned into shoes.